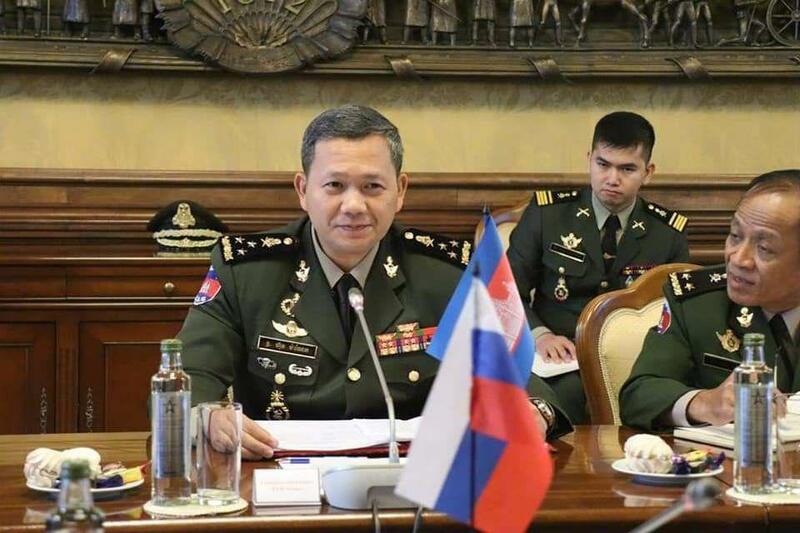 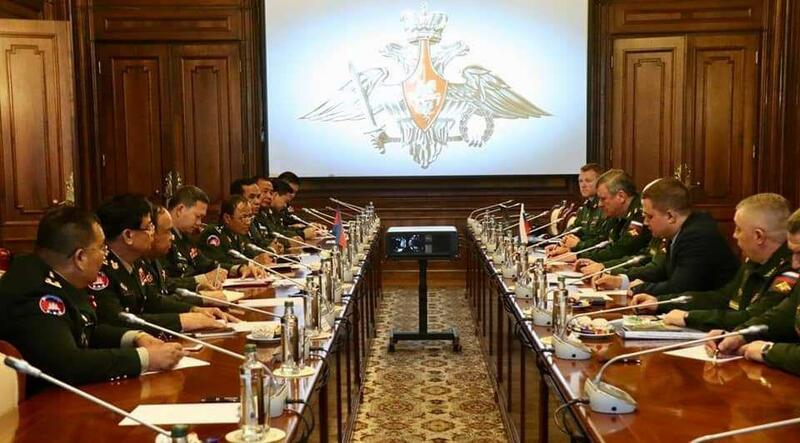 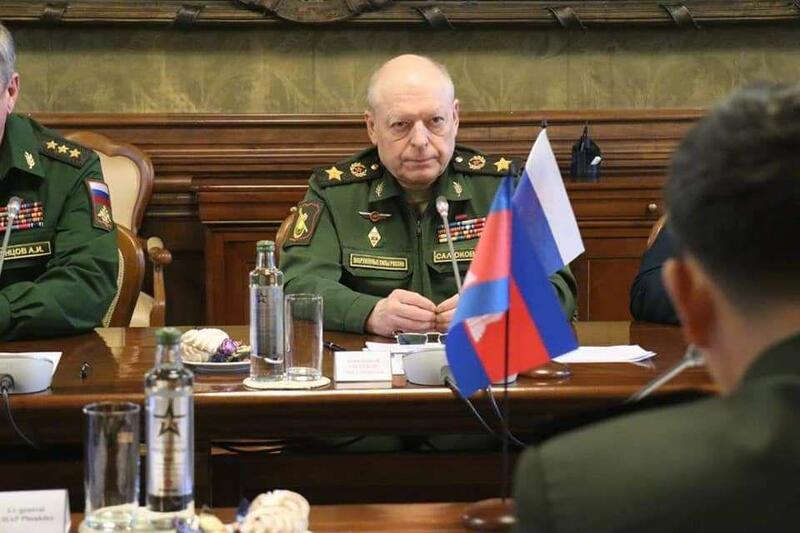 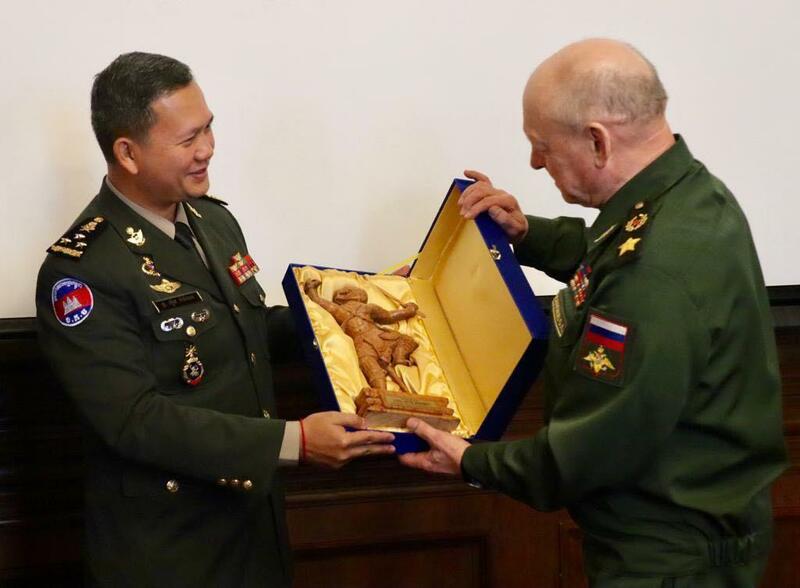 Phnom Penh (FN), March 25 - Russian Army General and the current Commander-in-Chief of the Russian Ground Forces Oleg Salyukov, on Monday, warmly welcomed the Royal Cambodian Armed Forces (RCAF)’s Army delegation, led by Lieutenant General Hun Manet, in Moscow. 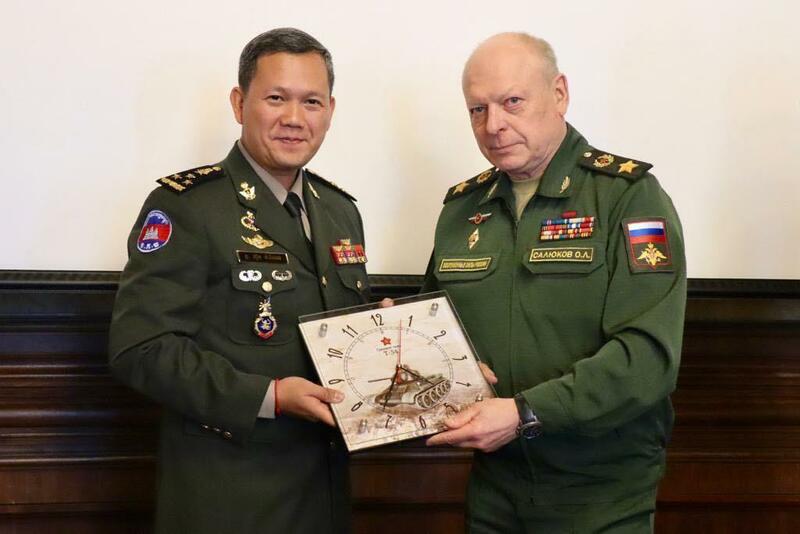 General Oleg pledged to further strengthen the cooperation of Cambodian-Russian army, particularly, on military capacity building for RCAF. 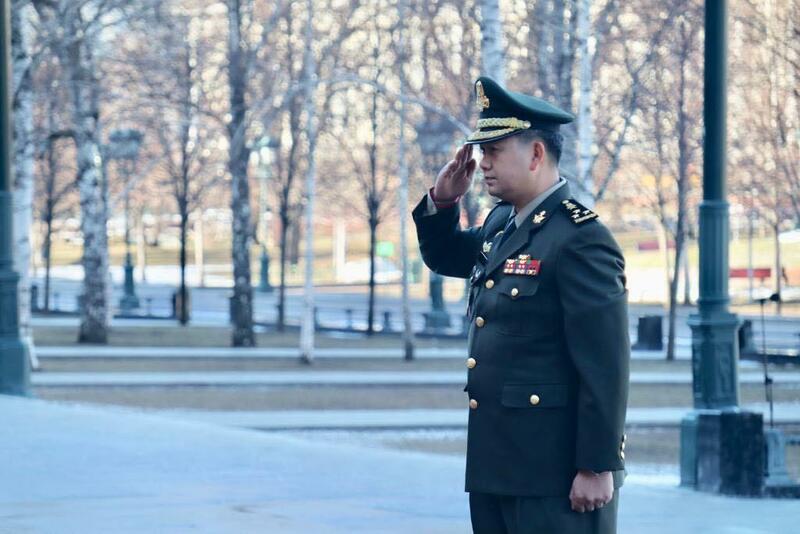 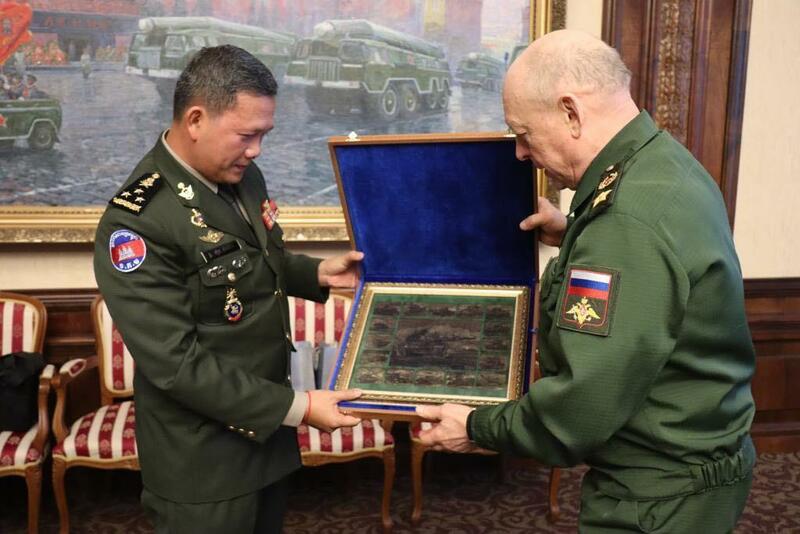 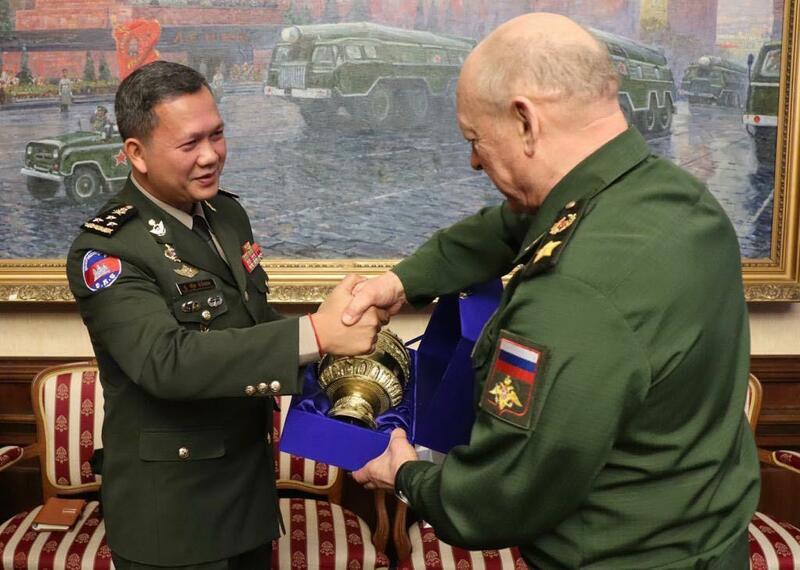 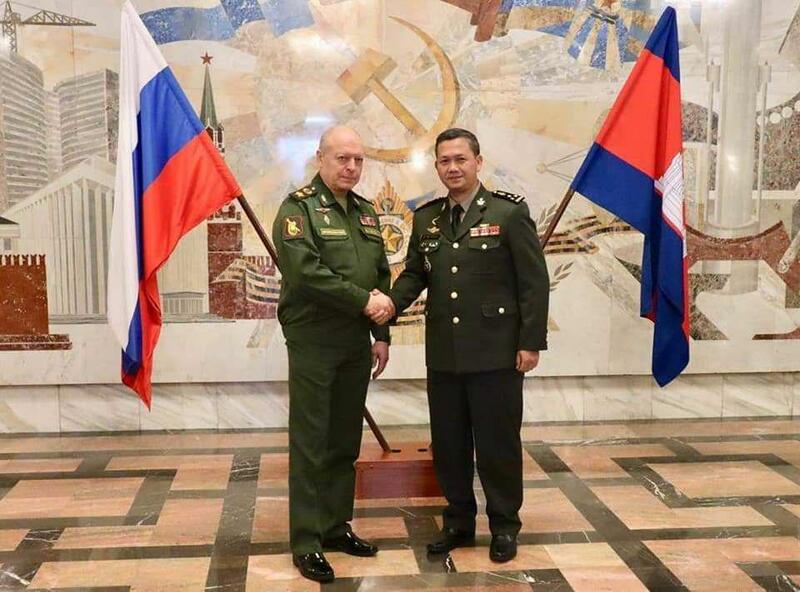 General Hun Manet expressed his deepest gratitude to Commander Oleg Salyukov for the warm welcome and thanked the Russian government, army and people for their assistance in developing Cambodia. 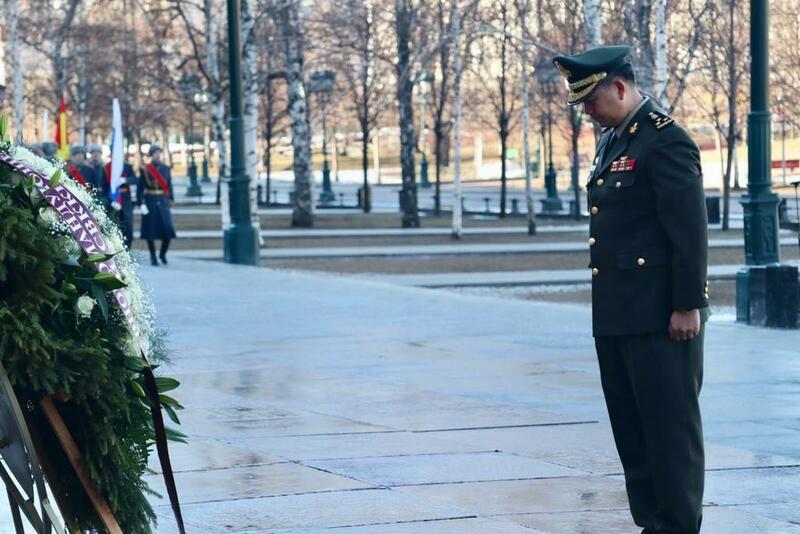 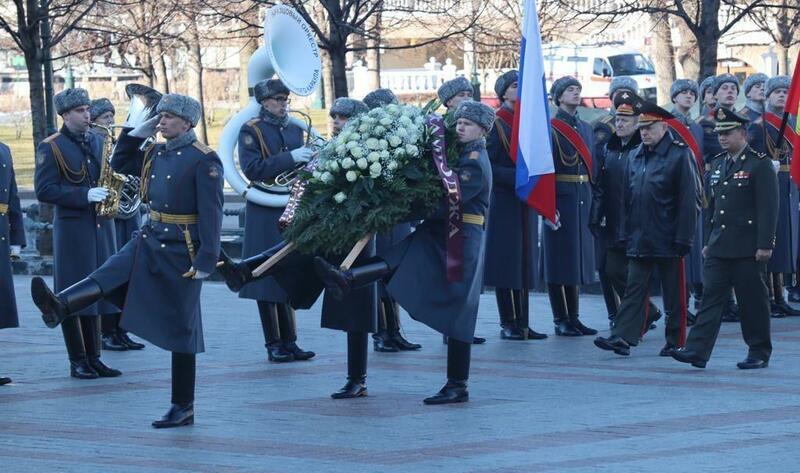 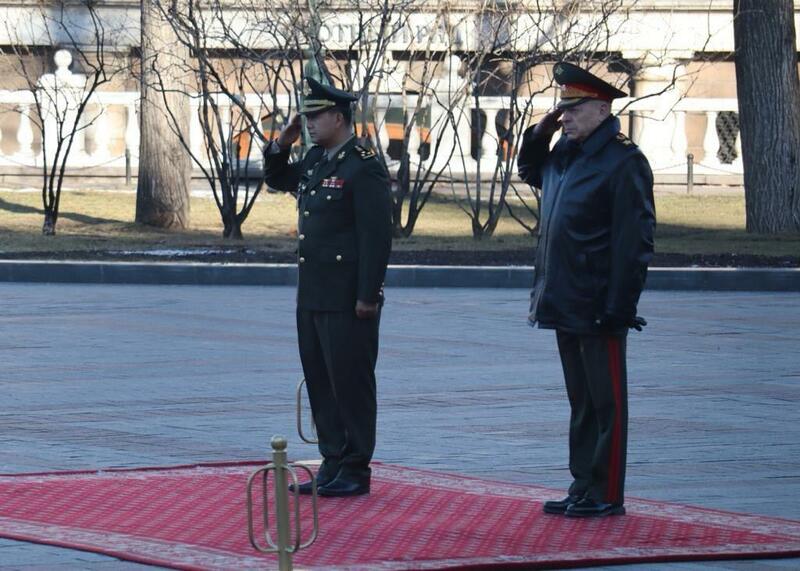 During the visit, the Cambodian delegation also laid flowers and wreath for Russian heroics at the Red Square.